Since being founded in 1899, Miele has followed its 'Forever Better' brand promise. 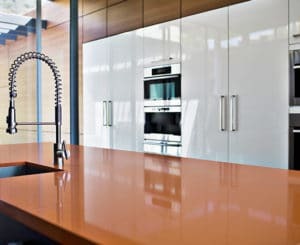 They are the only manufacturer in their branch of industry to test products such as their washing machines, tumble dryers, dishwashers and ovens to the equivalent of 20 years use. Once a Miele, always a Miele. 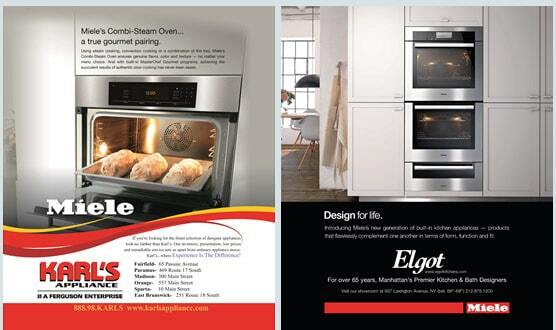 Promote Miele’s high-end ovens via a targeted co-op program that tagged retailers in key markets. A geo-targeted print campaign in two key markets and three Condé Nast magazines that promote Miele’s high-end ovens and drive awareness of local retailers that carry their products.